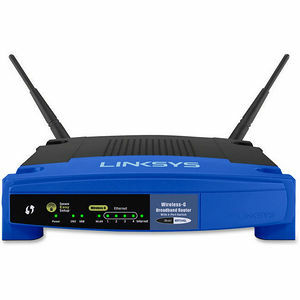 Wireless router offers professional-grade home networking with customizable, open-source technology. Wireless-G technology lets you add computers, printers, smartphones and more to your network at speeds of up to 54 Mbps. Open-source configuration can be easily modified using a browser-based configuration utility or customized with Linux-based Open Source capabilities. Advanced wireless security protects your network with wireless WPA/WPA2 encryption and an SPI firewall. Setup and configuration are virtually effortless due to the easy-to-use design for quick, simple access to your network.